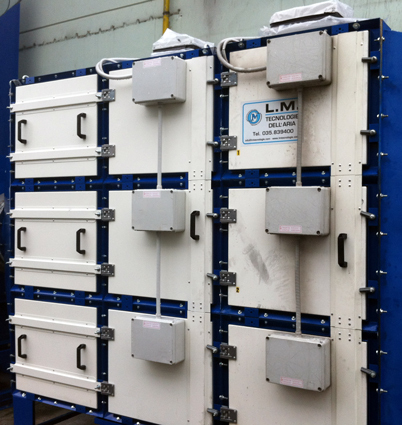 • a collector cell of plates that are positively charged and which repel the ionised particles. 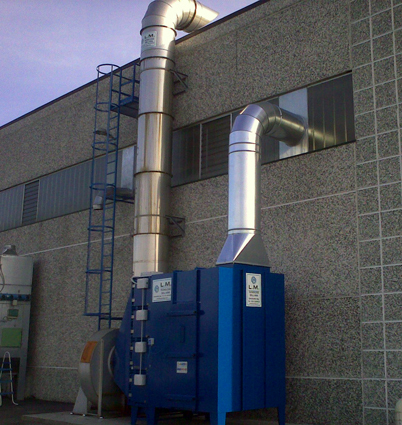 Electrostatic filters are used to purify and filter fumes, dust and pollutants from processes that cause oil mists such as the moulding of plastic materials and welding. In general, this type of filter is chosen for pollutants with granule sizes of between 10 and 0.01 micron. 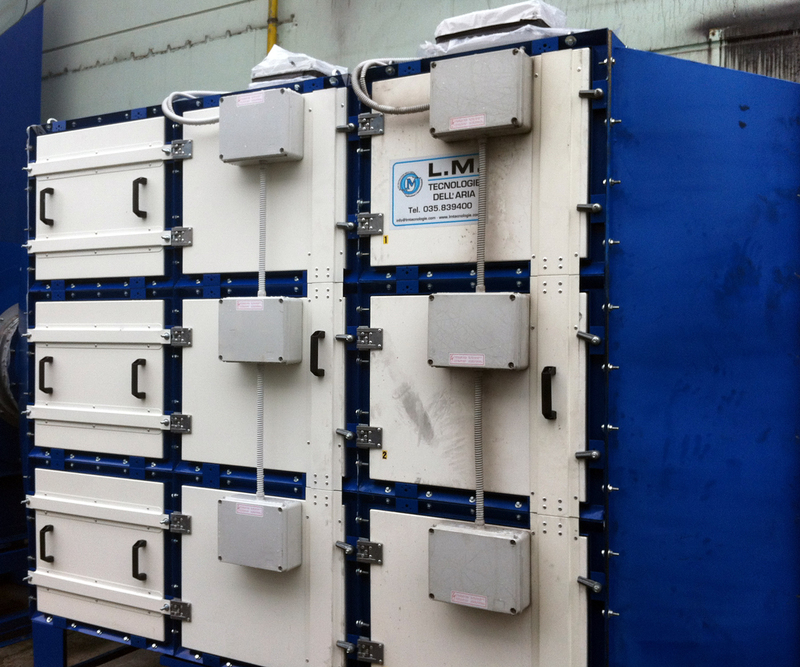 The units are made with a horizontal or vertical development according to the needs of the company, for dry or damp dust. The filters are made of carbon or stainless steel plate. A series of accessories can be combined with the electrostatic filters to improve their performance and maintenance such as mechanical filters or post filtration units. 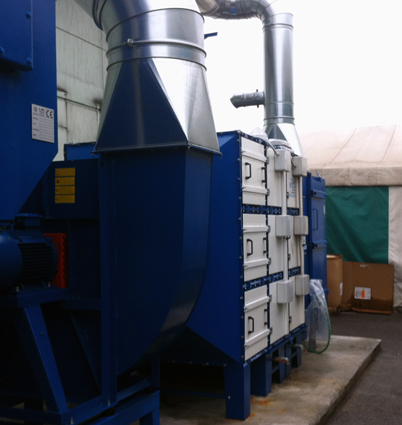 Furthermore, the filter can also be combined with a cleaning system if they operate continuously. 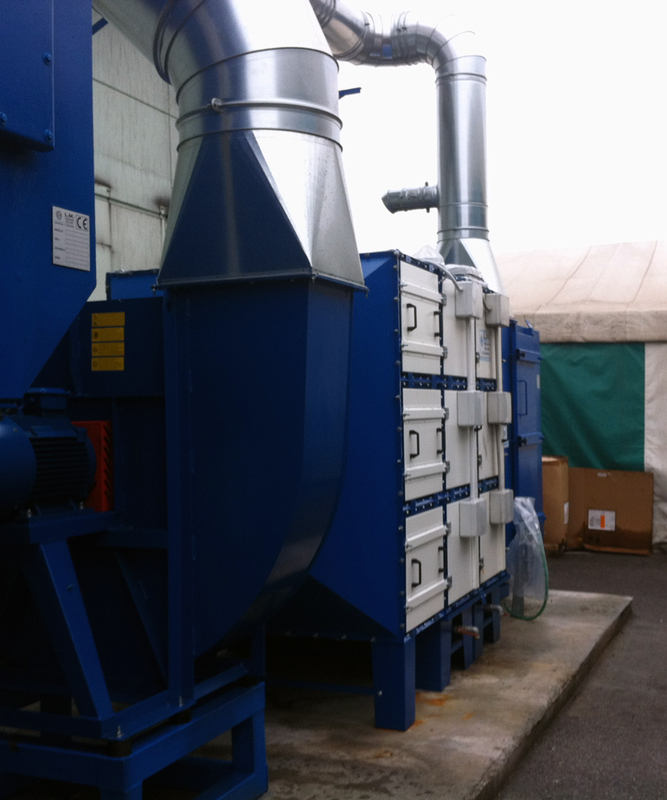 The companies requiring this type of electrostatic filter are those which must deal with the problem of treating fumes, dust and oil mist, while it is not suitable for filtering insulating dusts. To request a consultation with our team of professionals and experts you can contact us using the contact form that can be found on our website. 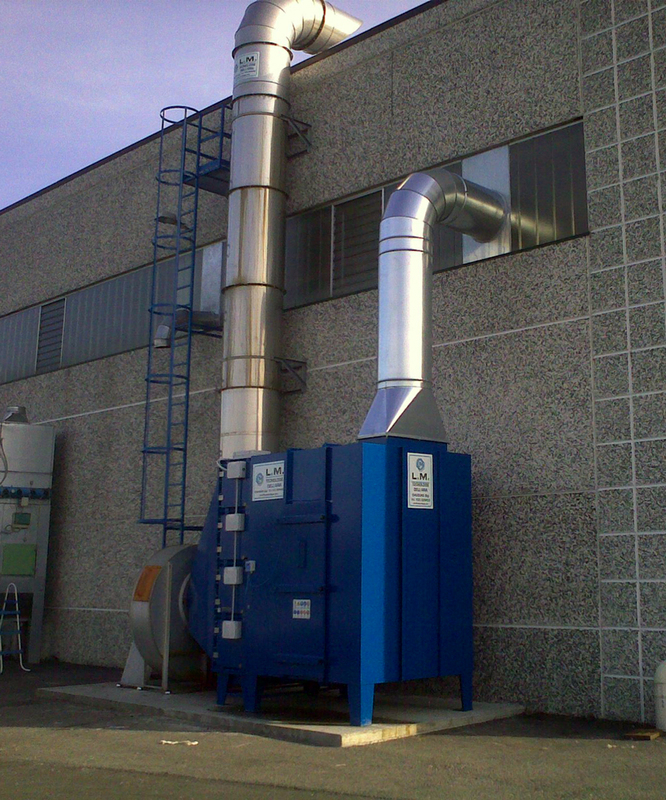 We will be delighted to offer you a complete consultation to find the best solution for your company’s requirements according to the type of process and the pollutants, in full respect of the regulations currently in force regarding emissions. On the pages of our website, you can find all our solutions and proposals for the various industries of our customers requiring filtering and purifying systems. We will send you a customised solution for your company based on your requirements as soon as possible.